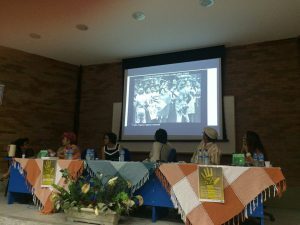 Educational action about the period of the military dictatorship in Brazil and Paraíba based on the guidelines of the National Plan for Human Rights – PNDH 3. Proposals for the use of didactic resources and different languages in the approach of the right to memory and truth. Education for the Never Again. 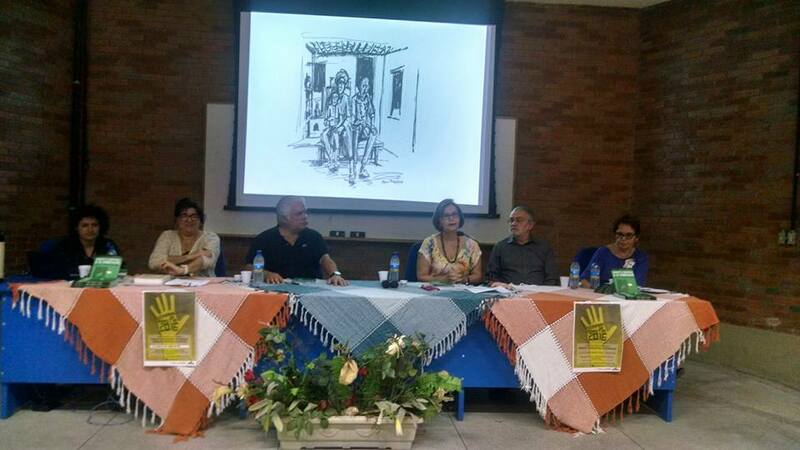 General: To contribute to the understanding of the historical process of the Military Dictatorship in Brazil and Paraíba articulating knowledge and teaching practices regarding the right to memory and truth and education for the never again. Specifics: – To discuss the historical process on the Military Dictatorship in Brazil and Paraíba; – To analyze the possibilities of didactic resources and different languages in the approach to the right to memory and truth; – To problematize the records and local memories about the period of the Military Dictatorship in Brazil and Paraíba; – To discuss the meaning of Education in Human Rights and Education for the never again nowadays. october 10, 2016 CATOLÉ DO ROCHA – 8ª Regional Administration of Education – 94, Manoel Alves Maia Street, Central District. TIMETABLE: 8:00 a.m. to midday and 1:30 p.m. to 17:30 p.m.
1:30 p.m. to 17:30 p.m.
FERREIRA, Lúcia de Fátima Guerra; ZENAIDE, Maria de Nazaré Tavares; MELO, Vilma de Lurdes Barbosa e. Direito à Memória e à Verdade: Saberes e práticas docentes. João Pessoa: Editora do CCTA, 2016. 194p. We inform the extension of time to the Course of Full-Time Education and Human Rights until tuesday august 14, 2012. Those interested will be able to apply on business days, from 8:00 a.m. to midday and from 2:00 p.m. to 5:00 p.m.